A person with COPD usually has symptoms of two different conditions: chronic bronchitis and emphysema. 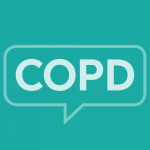 Those two conditions are now classified under the same name – COPD – because most people have symptoms of both, rather than just one or the other. To understand how these symptoms occur within a COPD diagnosis, let’s look at the epidemiology of both conditions.